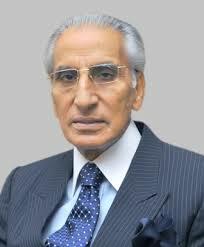 Minister on Foreign Affairs Syed Tariq Fatemi Friday said Pakistan would provide evidence to India about its involvement in state terrorism in Pakistan. working as agent of Research and Analysis Wing (RAW) was a big success and proof of Indian involvement in sponsoring terrorism in Pakistan, especially in Balochistan and Karachi. ready for all kinds of talks with India and wanted to resolve the issue of Jammu and Kashmir according to the UN resolutions. “Pakistan is a responsible state and wants good relations with its neighbours but statements of Indian leadership regarding Pakistan are irresponsible,” he said. violations in Indian Occupied Jammu and Kashmir at international fora and sensitized the world about these violations. diplomatic support to the people of Indian Occupied Kashmir.